This summer when I travel to Puglia I hope to learn to make orecchietti. They are shaped like little ears. The name is derived from the combination of orecchio (ear) and etto (small). 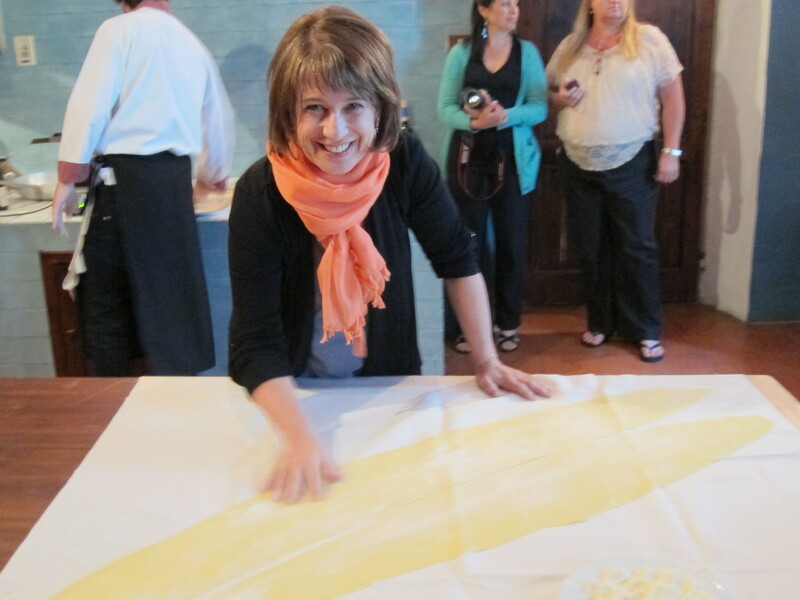 Chances are, the next time you travel to Italy and take a cooking class, you will be given the opportunity to learn how to make the local pasta specialty. But, until then, here’s a step by step guide on how to make orecchietti from from Deborah Melle over at Italian Food Forever. Buon appetito! Such a great picture of you! Thank you Melissa! Can’t wait for September !!! Making orecchiette – pronounce “Orakkeetta” 🙂 – is easy and so, so funny! Puglia is the kingdom of handmade pasta and, once there, you can learn how to make and cook different shapes of pasta such as “sagne ritorte” and “minchiareddhi”. Handmade pasta in Puglia is still a family thing, with mammas making it for Sunday lunch.